This will be a short sweet post. 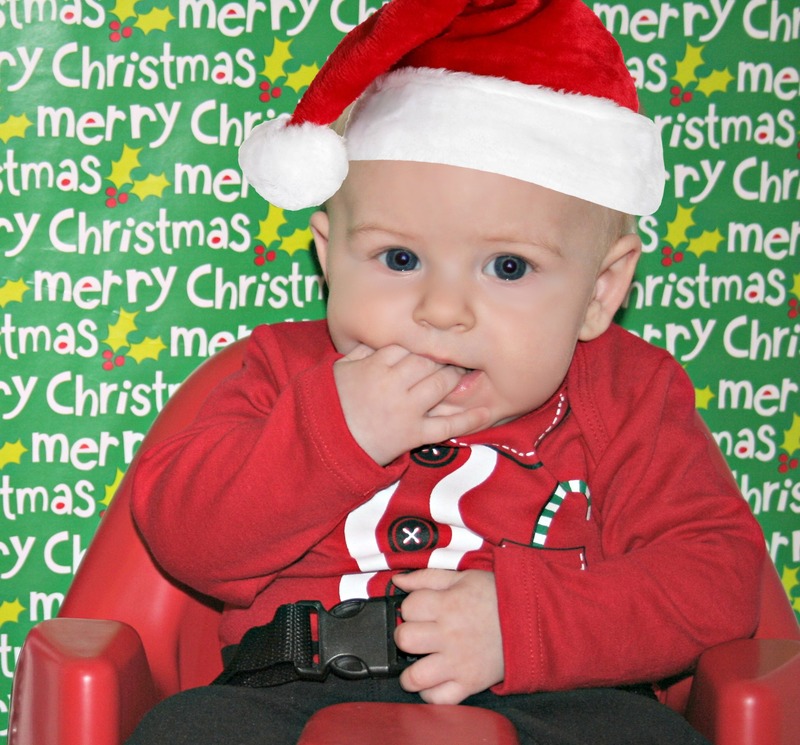 I plan to take my little guy to see Santa hopefully this weekend and get his first official picture with Santa, but I tried to snap a few of him at home. 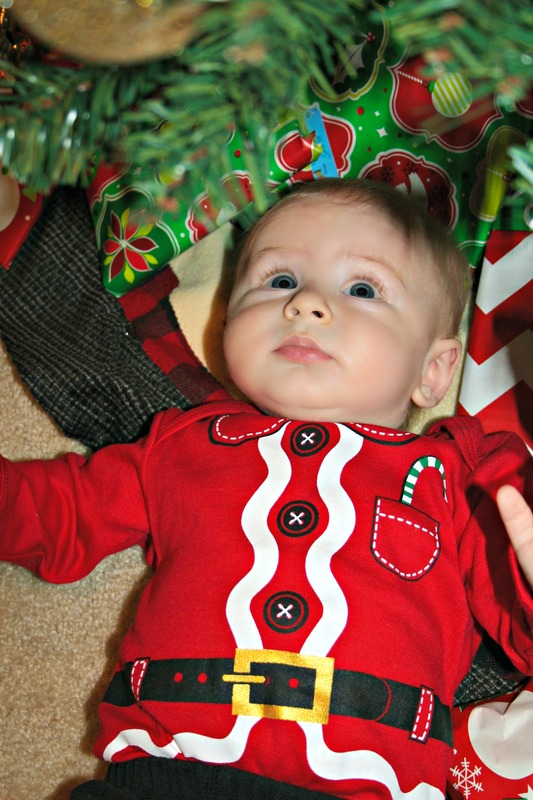 I would love to take him to have Holiday portraits done, but I don’t want to dish out a bunch of money right now. So I tried to take a few on my own just for fun! 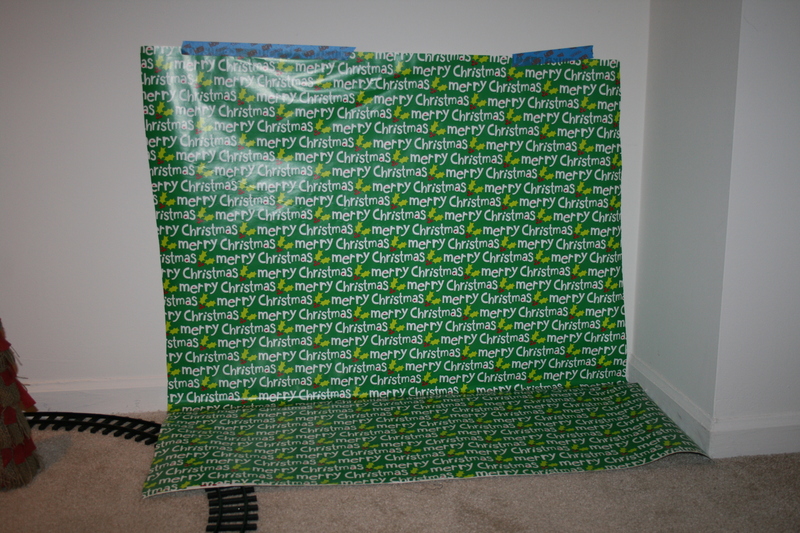 I had seen on Pinterest once of using wrapping paper as an inexpensive back drop. We made it work and the pictures turned out cute! 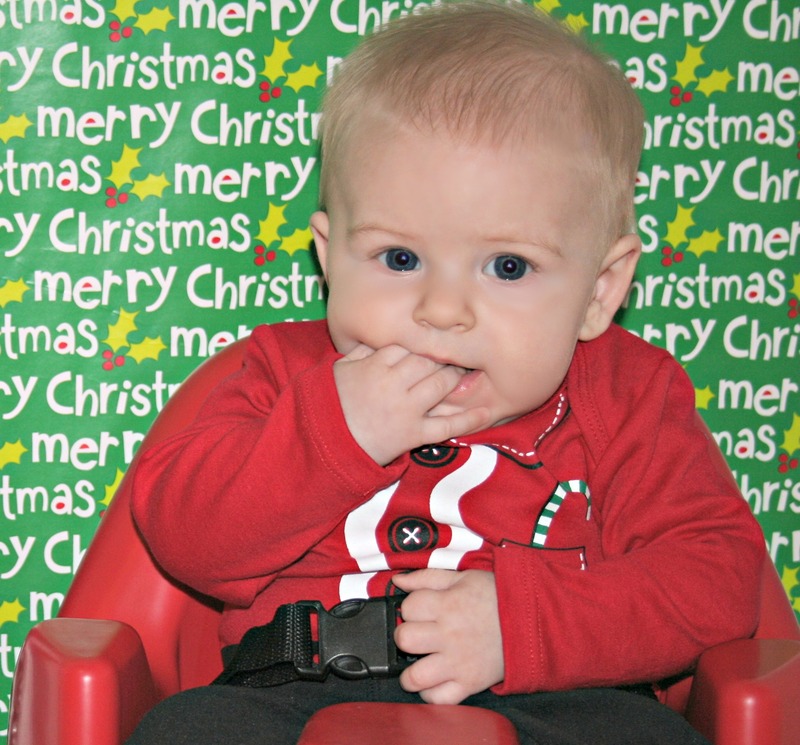 He loves chewing on his fingers! 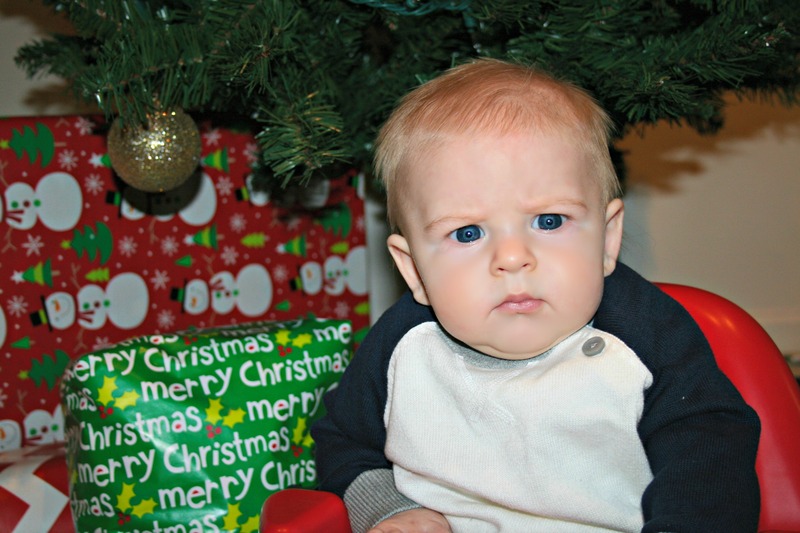 He was clearly thrilled to take pictures! Look at his beautiful lashes! 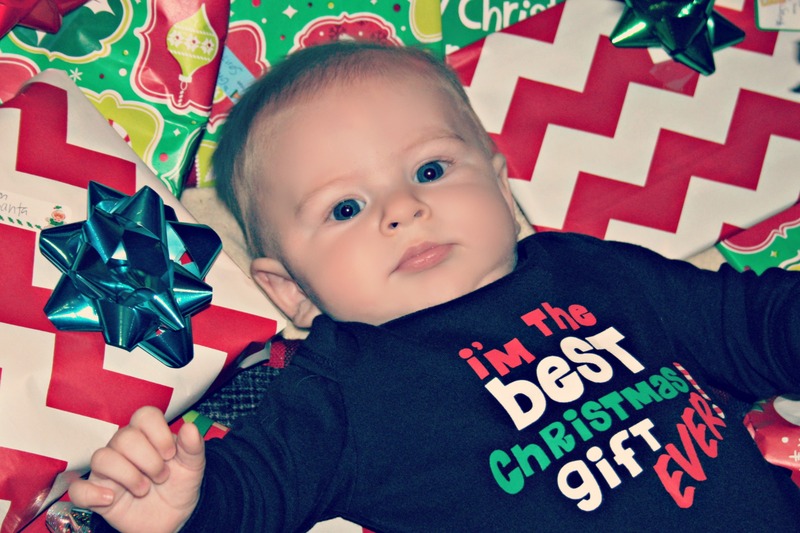 He is the perfect gift! 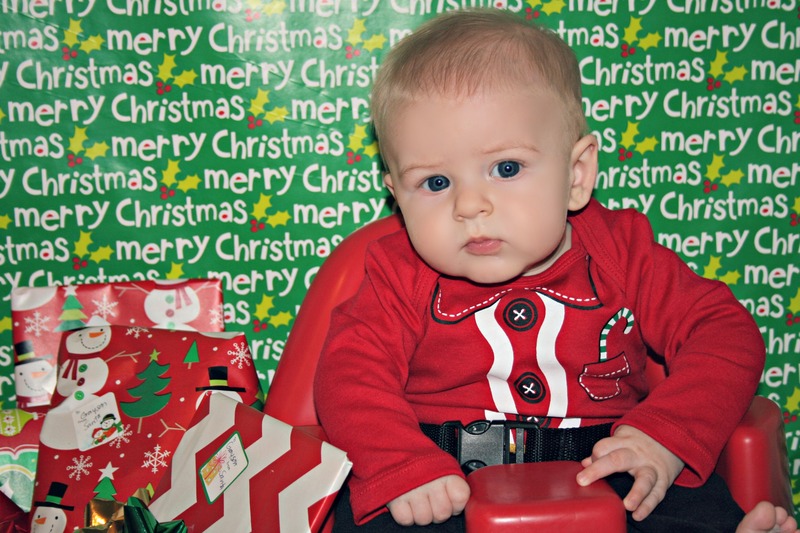 We took this for his 4 month pictures! He is so cute! 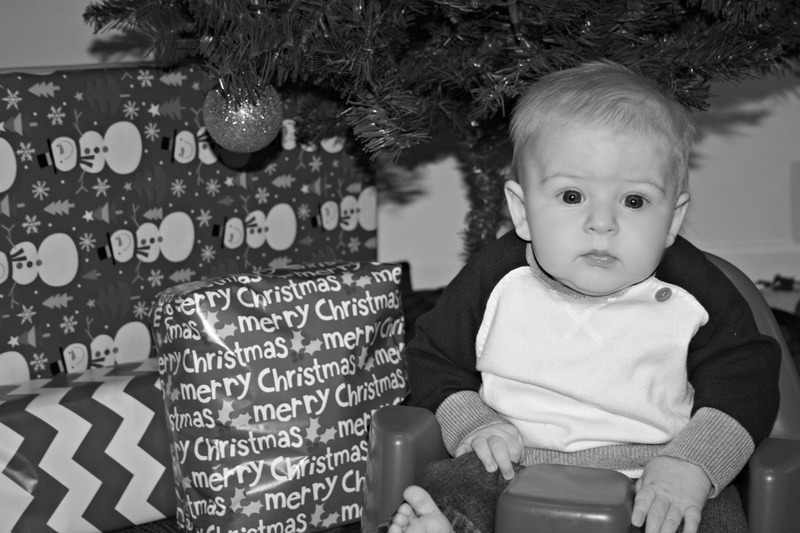 4 month picture.